Due to hygiene issues, there is no return on this product. 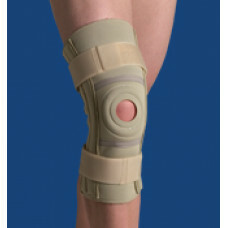 The Thermoskin Knee Stabilizer knee brace is anatomically designed with internal metal stays and a combination of velcro locking straps which provides knee stability. 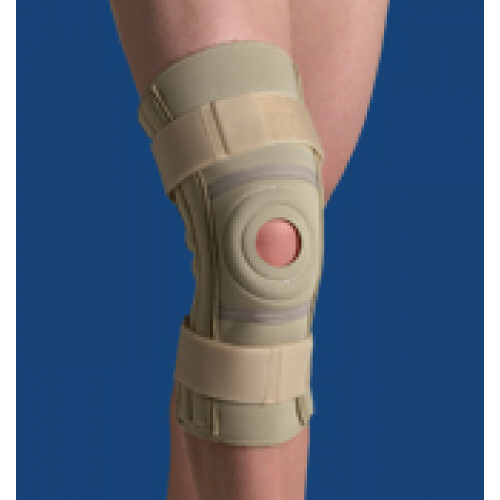 The Thermoskin Knee Stabilizer provides knee stability, which is particularly effective for pain secondary to degenerative disease and medial and lateral instability.